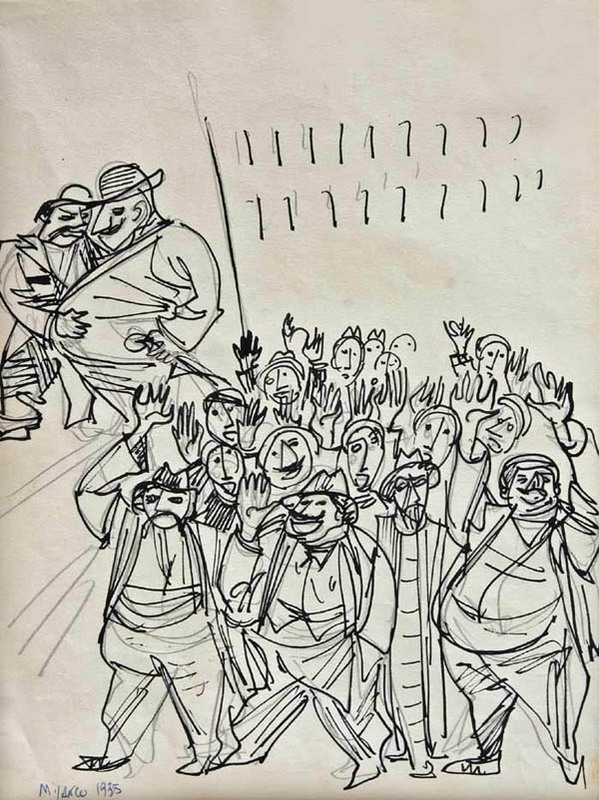 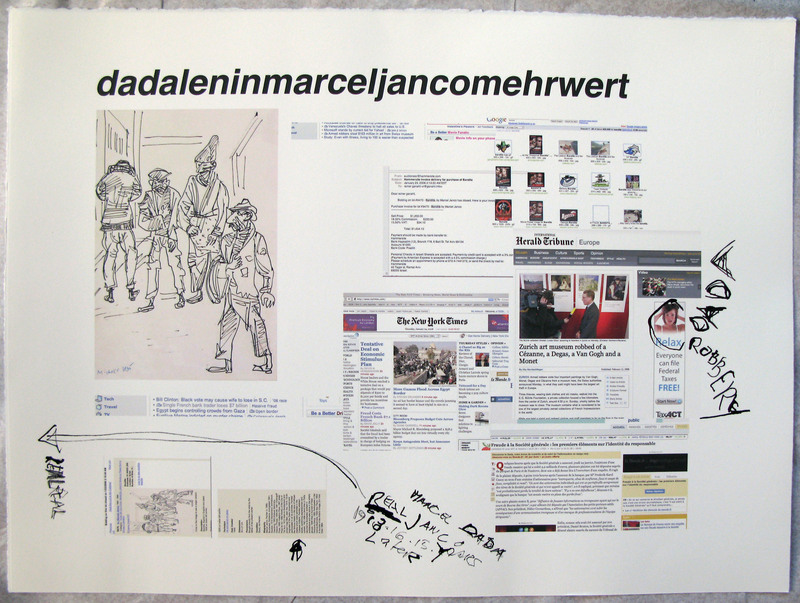 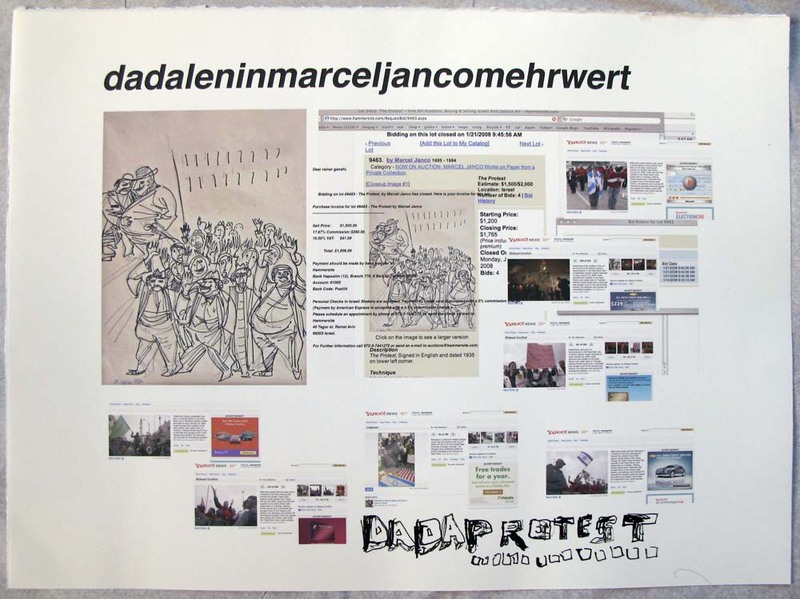 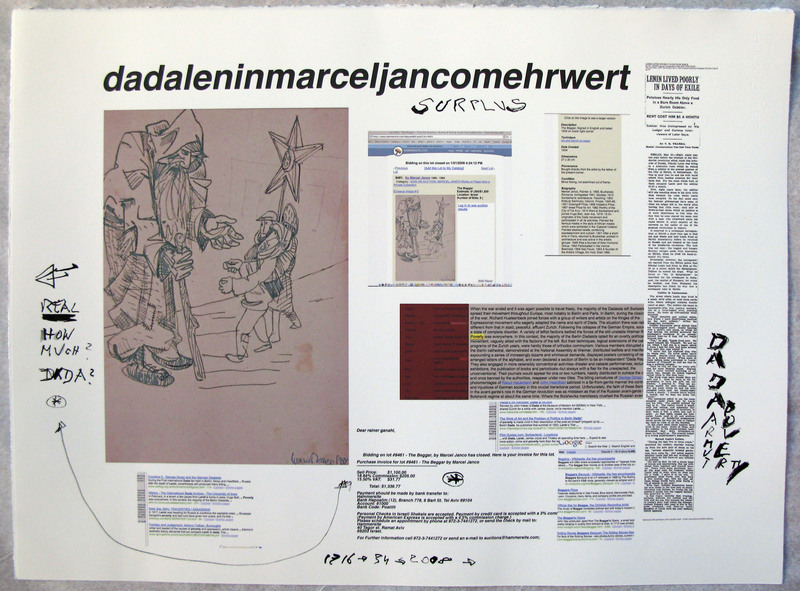 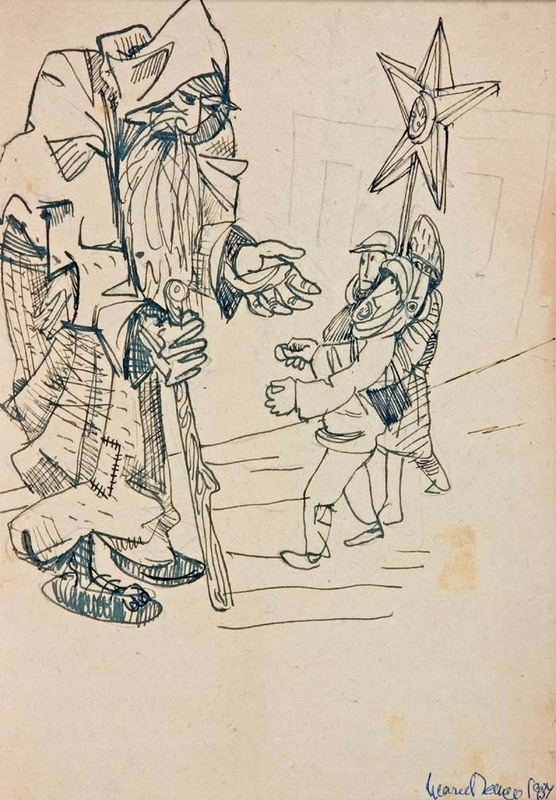 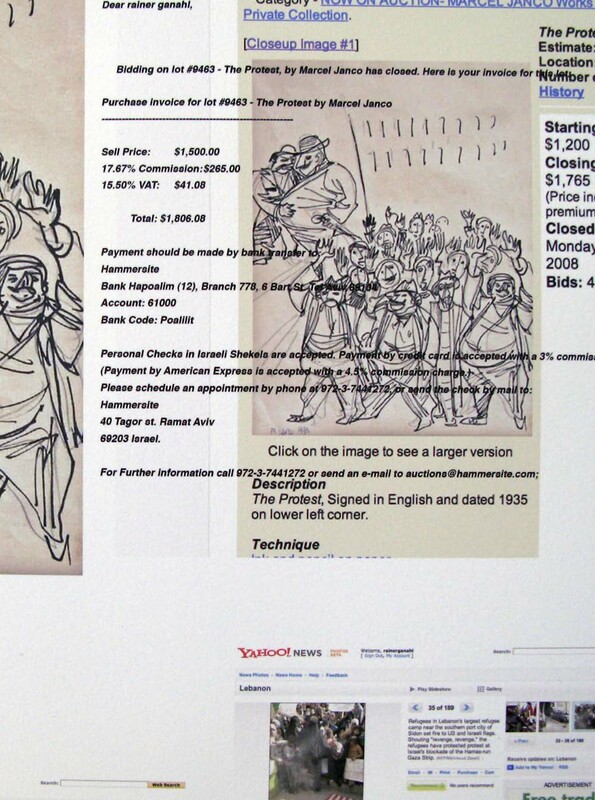 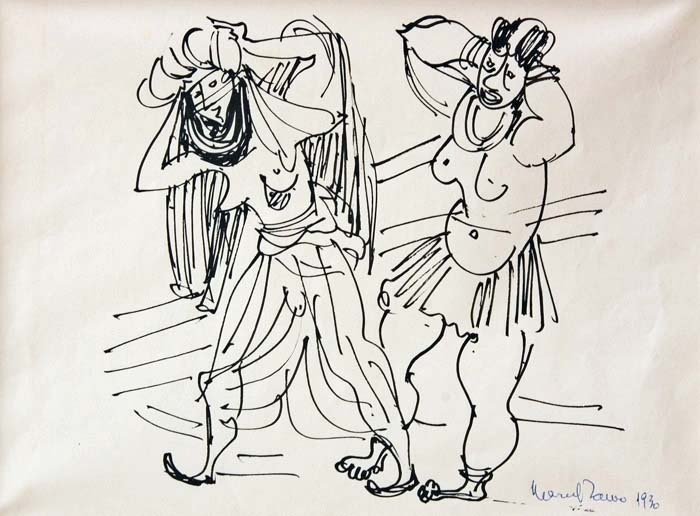 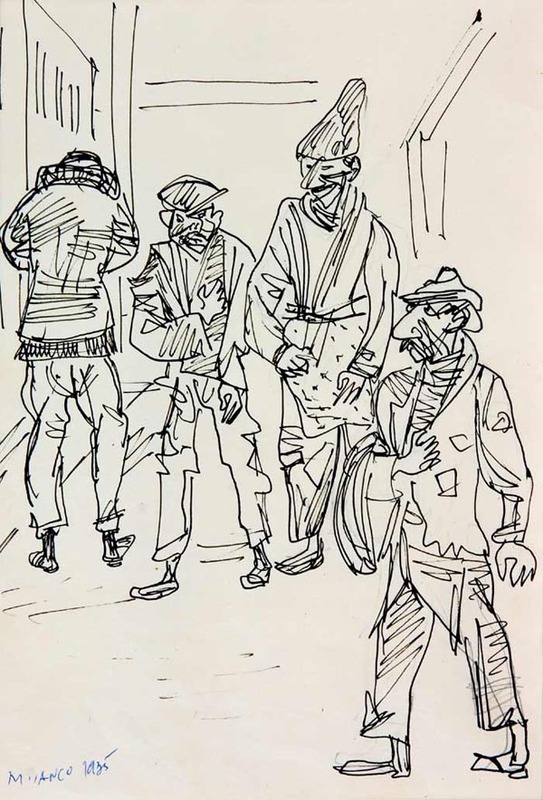 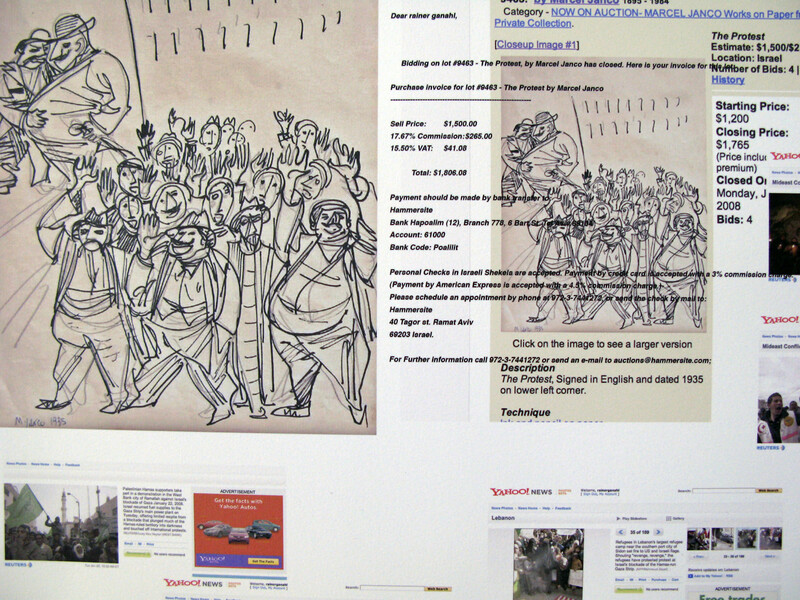 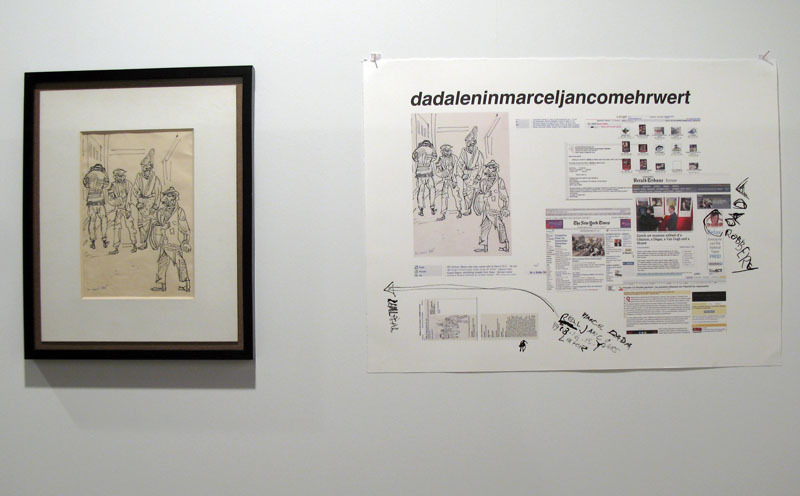 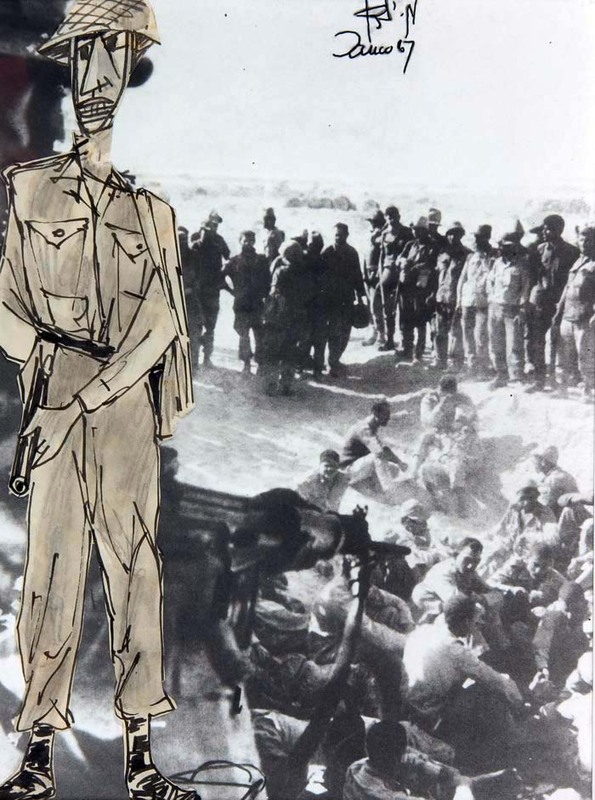 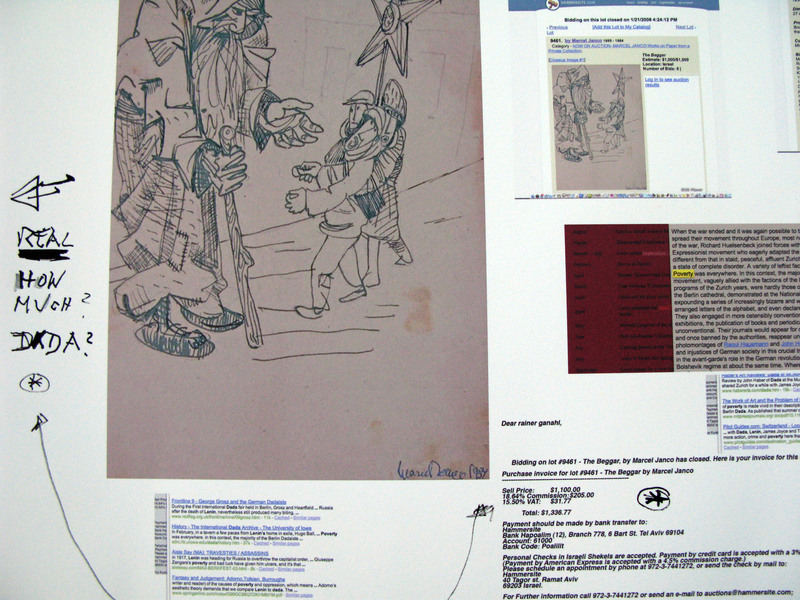 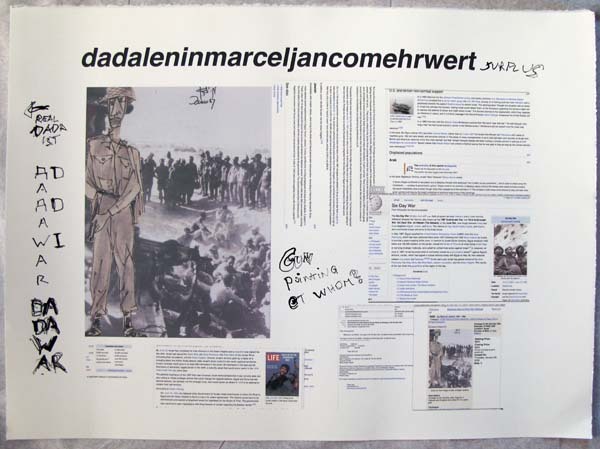 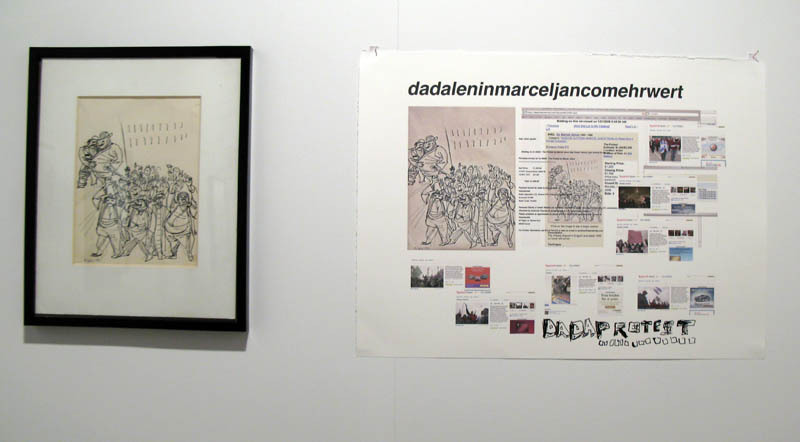 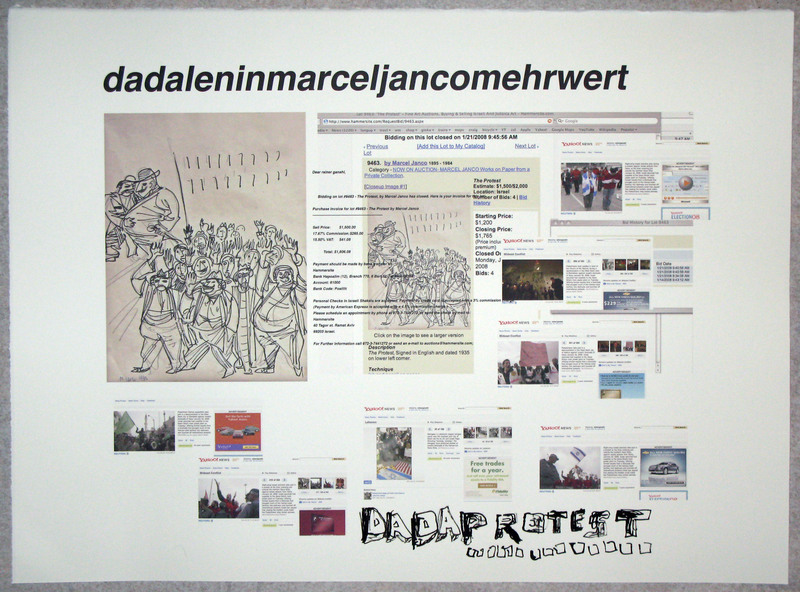 Looking for a photograph of Marcel Janco on the internet, I came across an on-line auction of drawings by Marcel Janco. 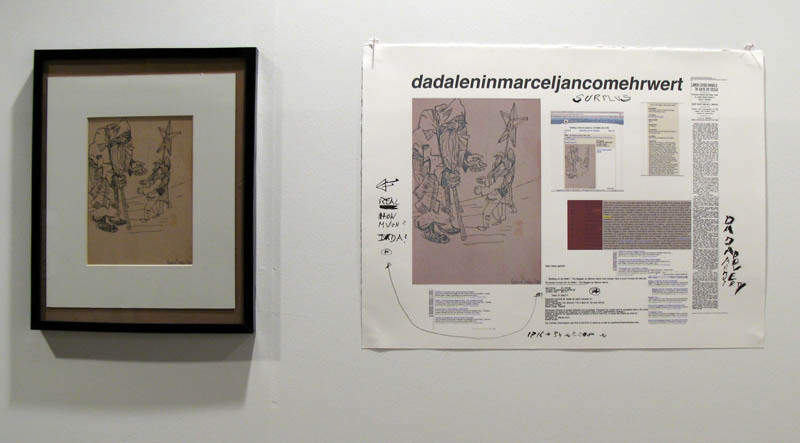 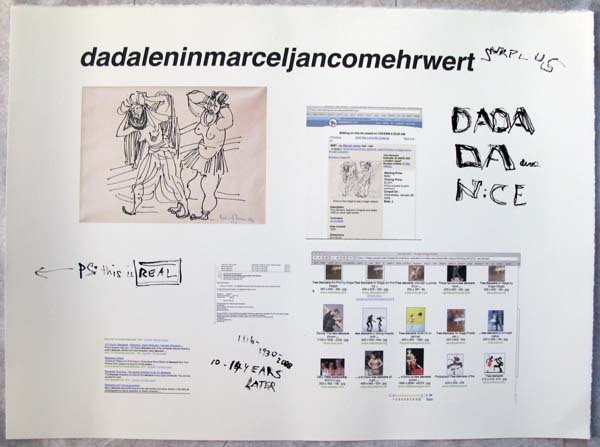 The relative low pirces for this seminal Dadaist artist prompted me to bit and purchase them with my credit card. 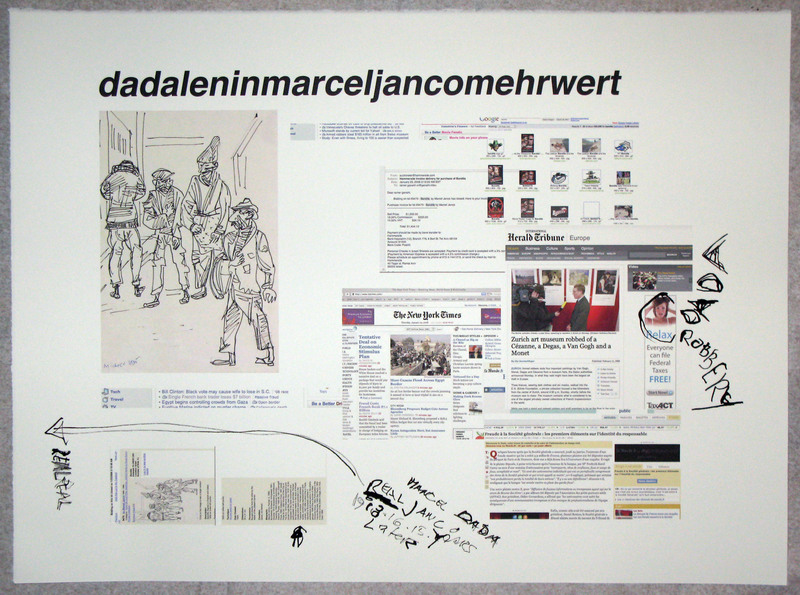 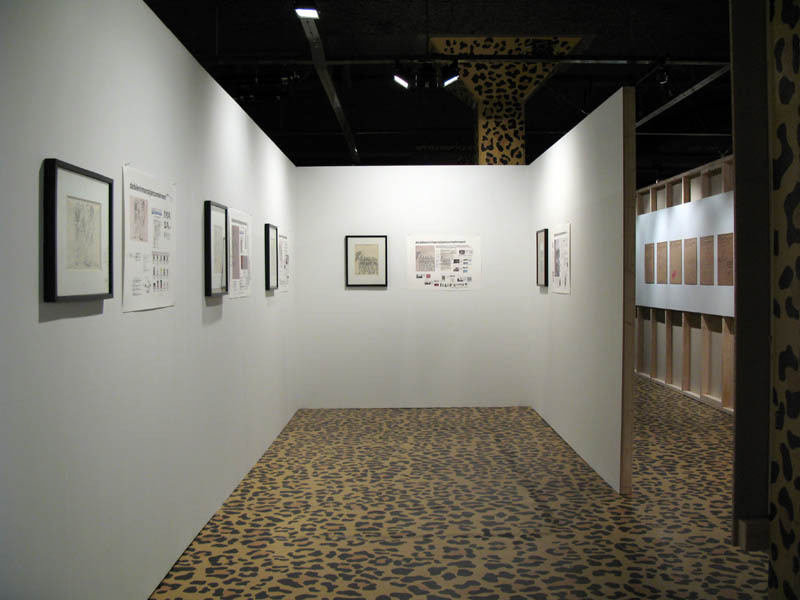 For each original drawing I produced collage printed on large litograph paper complemented with hand made ink remarks. 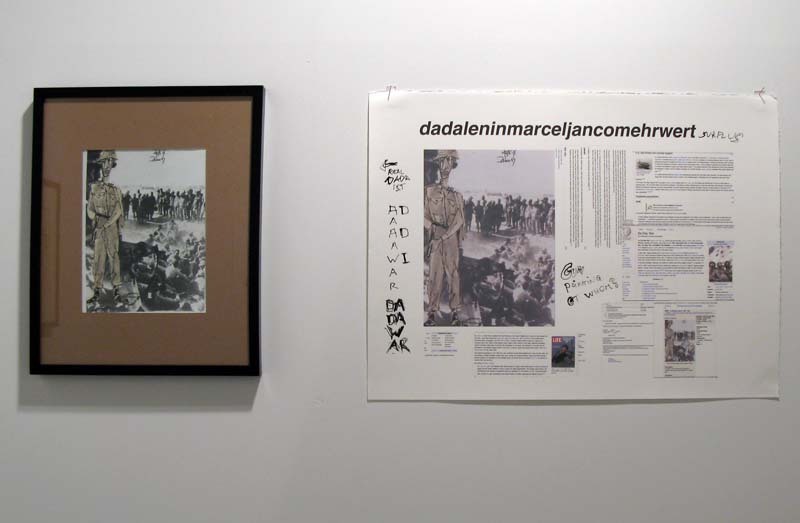 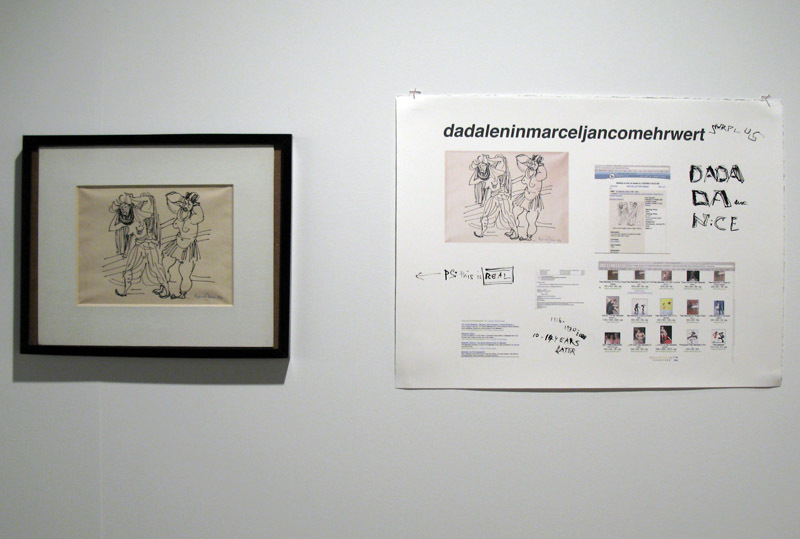 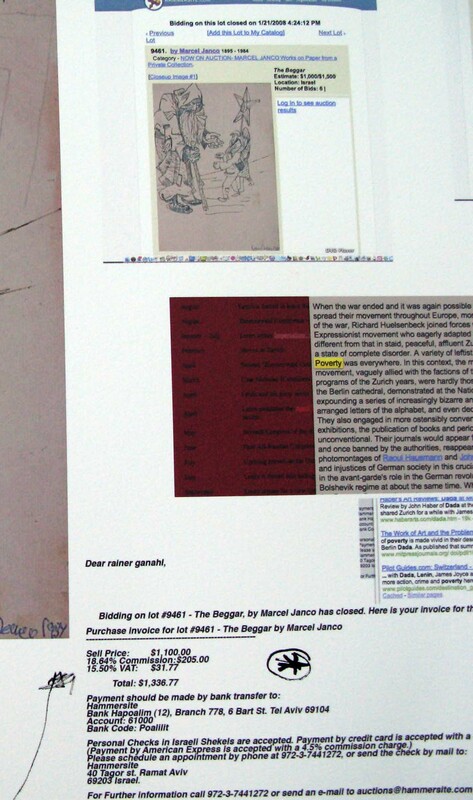 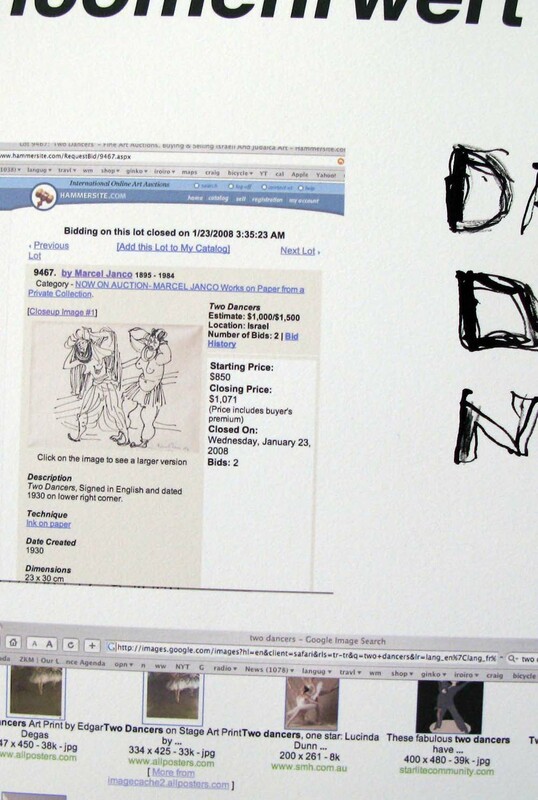 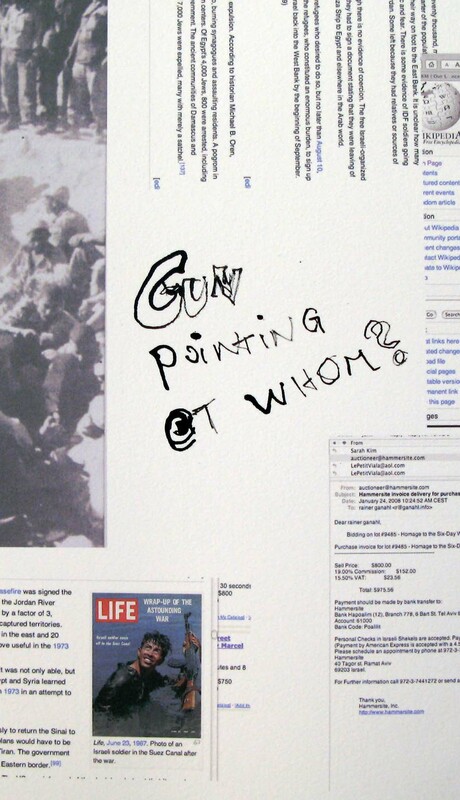 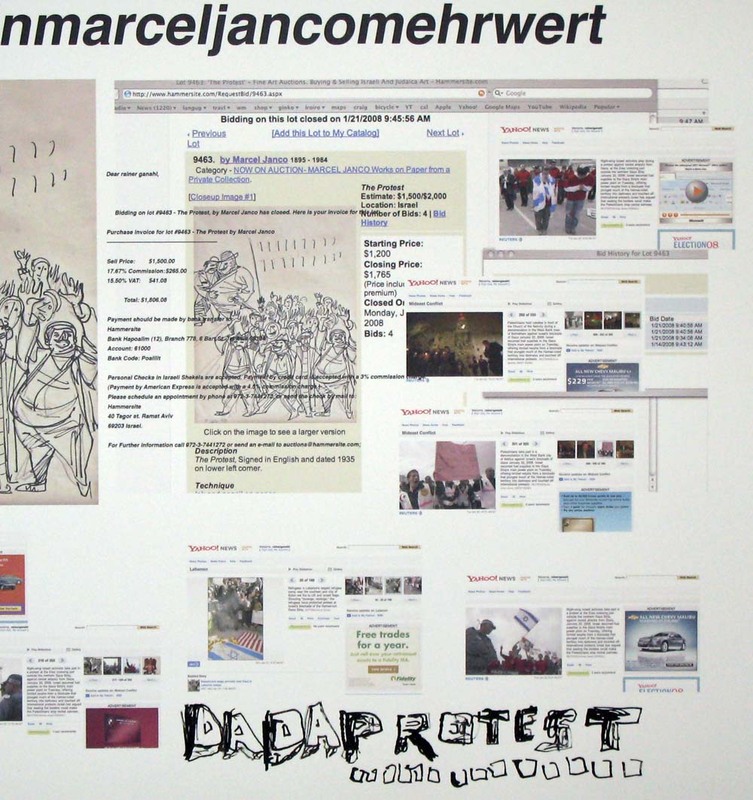 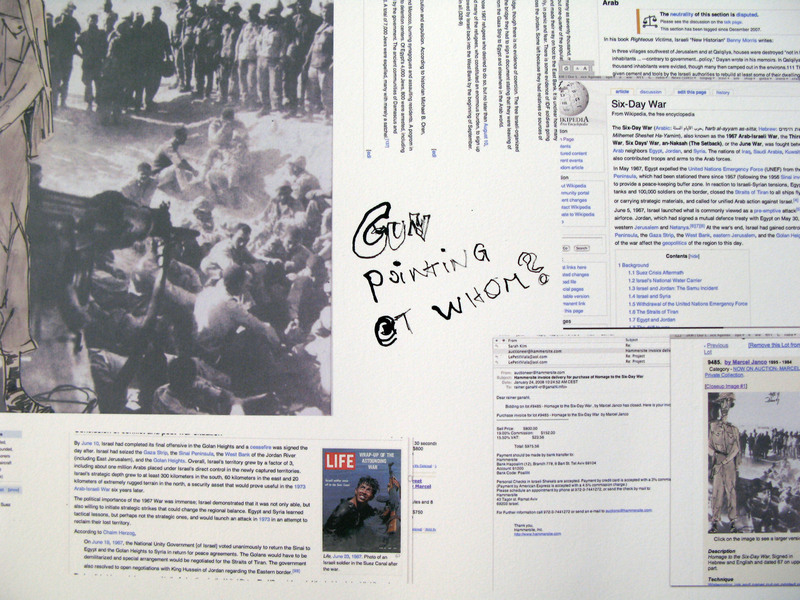 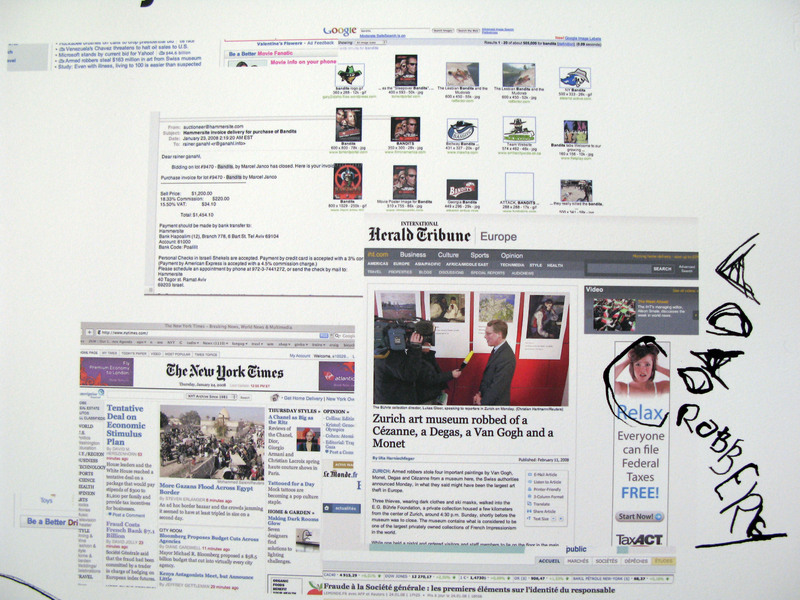 The content was taken from news and information web sites deaing with hte topics of the Janco drawings.